0.28 ACRES - 2 Bedroom Modern Bali Home With Pool And Ocean View!! Exquisite craftsmanship, top of the line quality, attention to detail, premier location and unique Naluri Collection design are the hallmarks of this new villa – Casa Capung. Located at just over one thousand feet above sea level, this hillside villa peers past mature rain forest canopy towards the dramatic southern coastline and rocky headlands. Accessed off of a concrete road and surrounded by other high-valued, quality homes, this two bedroom residence represents amazing value for an area which commands much higher price points and healthy rents. Escaleras has long been one of the most sought-after addresses in the Southern Zone and Ballena Coast. The one-level villa is constructed of sturdy concrete block, poured cement and stucco and features a roof made of rare and imported ironwood shingles, capping the villa with organic perfection. The master bedroom faces the pool, terrace and view and features an over-sized, en-suite bathroom with rich hardwoods and natural stone materials, punctuated with fine fixtures and hardware. The guest room is adjacent to another full bathroom, and the great room takes in the views from the south, southwest orientation. The great room features a tv/lounge area with very comfortable sitting, a modern and well-appointed kitchen which boasts quartz counter tops, a central island and a handsome side x side refrigerator/freezer. This area is fully air-conditioned (as are the bedrooms) but has accordion-type, glass doors which open to the wooden deck, plunge pool and garden areas. Fourteen foot high (at crest) ceilings and hand-carved wooden trusses make this efficient floor plan feel spacious and elegant. Above the lounge area is an office loft which provides a comfortable perch to work and study. The approach to the property is through an electric privacy gate, and nine surveillance cameras keep a watchful eye on all parts of the property for added security. 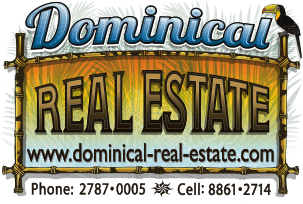 There is ample parking right by the villa's main entrance, and mature, tropical landscaping in place throughout the quarter acre property. No detail has been overlooked for this unique and inviting property. The property is very well situated for placement in the vacation rental market, and the seller is willing to accept bitcoin and some other cryptocurrencies as payment for sale. This property is must-see for those with an eye for quality and value and represents one of the stand-out offerings in the current market.